It does have Joe Straczynski's authority, wasn't aware there was anyone else's needed. JMS has approved other orders too though. For instance this one on Lurker's Guide has a different order for Season One and Two which supposedly also has his blessing. So which one is the correct one? Is there even actually a correct order? Crusade is pretty good proof that it's very hard to come up with one. You are asking me to go back through copious notes just to satisfy you. With all due respect, it's not going to happen anytime soon, I have more important things to worry about in my life right now, my mother is recovering from major cancer surgery and having chemotherapy, my mother in law's health is rapidly failing and my wife is going through the menopause as well to cope with. On top of that my day job as an analyst has exploded recently and I am bogged down with work, so when I go home at night I am also tired mentally. Well I'm sorry to hear that you have real life problems, and I agree they are more important, but as KoshFan pointed out you could have just said that you were busy with real life. Fair enough. I can't say I agree with your reasoning (I've already pointed out why it's seems wrong for number 3), but at least I have an idea what it was now. I don't see how that backs up anything you said. In fact it actually undermines your point. If Mars is still part of the Earth Alliance that means that the Narn setting up a consulate there could be controversial even after they have independence. JMS doesn't seem to disagree that Mars being part of the EA is a similar situation to Scotland, Wales, and Northern Ireland in the UK and EU. While they have a lot of power to govern themselves foreign policy is decided by the nation as a whole, not the individual countries that make up the UK. I can easily see the same sort of thing being true for the EA. If the Americans set up a consulate in Northern Ireland to deal directly with their government and not the British one you can bet there would be a hell of a controversy about it in the UK. The Narn setting up a consulate on Mars after their independence could easily be controversial. They are part of the EA but if they start making different deals from the rest of the EA it's going to cause all kinds of problems, especially within the Sol system. Hell, just look at the mess surrounding the Republic of Ireland and Brexit if you need an example of how an independent nation having different rules from the rest of locallity can cause all kinds of controversy. The EU as a whole has been nothing but controversial in the UK. And that's a situation that has all kinds of analogies with Mars gaining independence but staying part of the EA. Last edited by Karajorma; January 15th 19 at 02:44. There's something that bugs me about this discussion and about B5 fandom in general. B5historyman has put a huge amount of work in over the years, it's genuinely fascinating to study the timeline – but, I do subscribe to the 'death of the author' theory, that once a work is out in the wild people can interpret that work how they choose, and the author cannot tell them how they should interpret something. That includes having personal timelines that work for them. The author can say what they had in mind when writing their story, the author can even embark on a bit of revisionist history as JMS seems to have done with the timeline, but the reader/viewer should not be beholden to it. How often do we watch series or movies, or read novels and have different opinions about what really happened? Those opinions are what drive discussion of the story and help develop deeper meanings. To take that away by telling someone they have to see the story a certain way seems to me to be doing the story a disservice. I completely agree with this statement, but I also REALLY like b5historyman's approved version of events. Having said that I have definitely imagined my own B5 history of events and episode orders. The fact that JMS approved b5historyman's version is great as a reference tool that I think works really well, but that definitely doesn't mean the world is required to take it as sacred scripture that can not be deviated from. 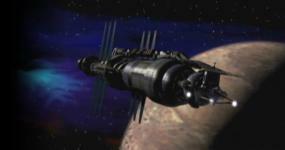 I think a good way to look at it might be to say if one were forced to choose a way that everyone should experience Babylon 5 for the first time then logically one would have to say release order is the only way it should be watched if one wants a level assessment of what every viewer had a chance to experience. In that same world if we were forced to choose a second way to view Babylon 5 in hopes of achieving the same results over a mass spectrum of first time viewers then I think b5historyman's order would be a logical second choice. But we don't live in that world so we are able to come up with our own theories of how it should be viewed. Having said that we're talking about choices made by people who already saw the show in release order and were allowed to make the choice of alternate ways to view the show. Over on JMS News alpha128 is posting about showing the show to two friends. alpha128 is showing a "condensed" version of the series with episodes deemed by alpha128 as "filler" filtered out. (alpha128 did ask JMS News Users for opinions on the episodes that were going to be edited out.) I completely understand the reasoning because alpha128 wants the two friends to make it to the end of the series and fears their lack of interest in Science Fiction is a big hurdle to overcome. I see this as an issue because the episodes chosen as "filler" were not chosen by those who were going to view them. alpha128 chose what episodes his friends would enjoy without knowing if they would actually enjoy them. I guess my point is that one shouldn't really talk about alternate ways to view the series without some REALLY good reasons because no one knows what aspects of the series a viewer is going to fall in love with. alpha128 had good reasoning because his friends are not fans of Science Fiction, and the updates have shown that. b5historyman has better reasoning to deviate from release order because the pieces of the puzzle fit together a little better , but I am still on the fence as to whether or not I would show the series to a new viewer using his chronological order because of the "level playing field" concept. I really think it might be important to experience the series the first time the way most have experienced it so the viewer can then decide for themselves how they like it best. Last edited by Looney; January 16th 19 at 15:32. While I don't disagree with you Looney, I don't have a problem with moving away from the airing order if the episodes were already filmed and then external issues forced a change in the order. That's more like the "premature death of the author". I tend to feel that is a fair order to let new people experience the show in. What point are you missing. The controversy was because the Narn didn't deal with the Earth Alliance but the provisional Mars Gov, I pointed out that there will have been a transitional period before full independance and that is why there was the controversy. I am really disinclined to argue a point that has already been authorised by Joe. To be honest I really am not bothered whether you agree with me or not, I just posted the link up. No. You claim that is the controversy based on zero evidence because it fits your interpretation. I've pointed out an alternative and you're just ignoring it because you want to claim you're correct. Fine, if you want to continue to argue that you've found the one true list, you can do so. I completely disagree with it or the level of authority you claim it has. YES!!!!! Now we are getting into it!!!!! DRAMA!!!!! As I see it the approved, b5historyman, is arguing that the Narn controversy happened prior to transition to full independence. Karajorma is arguing that it didn't have to happen during this time period because Mars was to remain part of the EA there by making any deal they made with an Alien government that was not approved by the EA a controversy. Why are you really having this discussion? b5historyman is basically arguing that his interpretation for why there was controversy is the only possible one. I've never let anyone get away with that kind of nonsense whether it's about a TV show or not. Keeping an open mind and seeing that there might be other points of view is important. Last edited by Karajorma; January 29th 19 at 01:26. He's also arguing that it's the only possible one because JMS says so. Which does seem pretty ironclad. Except authors can certainly be wrong about the minor points of their own work, however, and this is... really minor.